I know its been a while since I last blogged but there wasn’t much to report, you know… same old, new aligner every 2 weeks! Anyway, I was on holiday in Spain last week and took my new aligner with me to change whilst there and couldn’t believe that I am now wearing 9 that means only 5 more changes to go … which equates to 10 weeks remaining – Wow – I will be finished by Christmas. It is strange, you just plough on with the treatment and don’t think about the end date but all of a sudden its within my reach. There is a noticeable difference on my bottom teeth, the tooth that was really set back compared to the rest has moved forward and it won’t be long until it is in its final place. I can’t wait for my new SMILE! Recently I have started meeting more and more patients in Queen Square Clinic who have started their Invisalign treatment, we are all a part of the exclusive Invisalign gang! but I have noticed that many seem to be oblivious to the fact that the pink blobs that appear on your teeth on the ClinCheck 3D program are composite attachments. I must admit I hadn’t really taken on board what they were until the morning of my appointment. and YES – those pink shaped blobs on all my teeth, have to be white composite (filling material) attached to your teeth in exactly those shapes. A little weird to anyone else looking closely but I think looking closely is the main thing… I am sure you only really notice the lumpy bumpy aligner if you really look closely. So if you are going through this process and you see around week 3/4 you have to have attachments, you now know what to expect. It feels totally alien to begin with but as with the aligner, you get used to it. 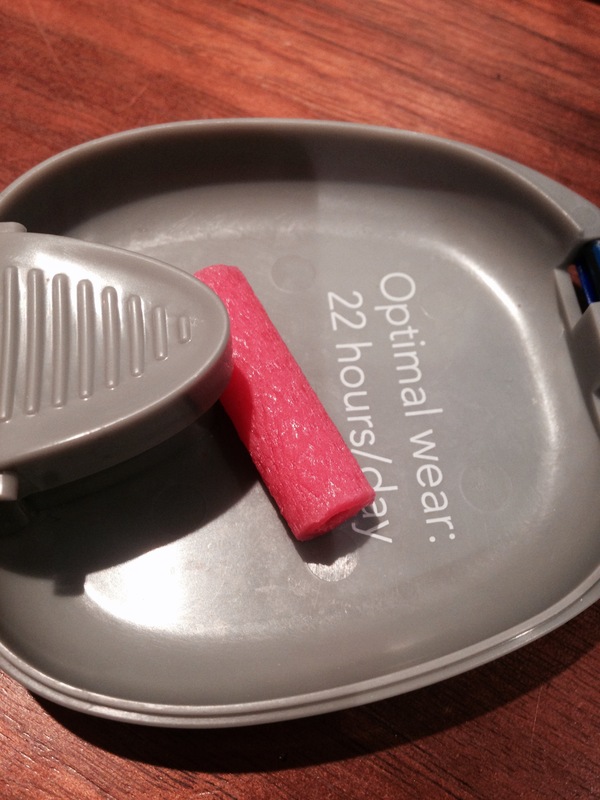 In the beginning I bought some denture cleaning tablets to soak my aligners in, thus giving them a deep clean and making them crystal clear again – well that was the idea. However, I have found there is no need to buy these at all. If you keep your aligners clean and brush them at the same time as you brush your teeth you will find the discolouration isn’t horrendous. Also I was advised to buy some ‘Chewies’ a rubbery tube to bite down onto to help seat your aligner properly… yes, you guessed it… I have never used those either. Queen Square Clinic is pretty hectic with new Invisalign patients, with more joining our little exclusive tooth straightening journey every week. I know some people are finding the blog really useful with helping make minds up whether its worth the effort. If you have any questions or any comments please feel free to comment. OH NO – ATTACHMENT DAY! So aligner 3 (out of 14) day and judging by my ClinCheck I knew this was going to be the day of big changes to the treatment. 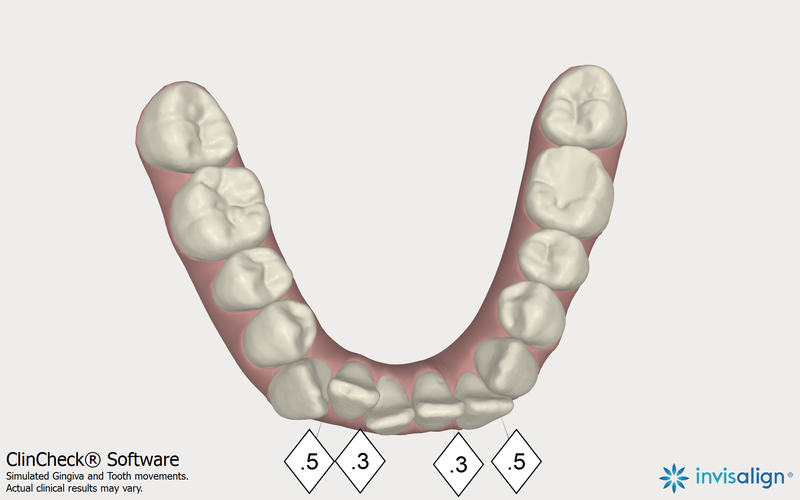 ClinCheck suddenly develops lots of attachments on the teeth. So here I am sitting in the chair once more and its attachment time. I think my main fear was that suddenly my aligners would be really tight and hurt more than others but this has been a real surprise. Alfonso has added 12 attachments/composite to my lower teeth and 4 to the upper teeth. Took quite a while (30 Mins or more) and used the light to set, then after a bit of filing between the lower teeth with a very fine strip to make space for movement, it was time to see how tight the new aligners were. Amazingly it doesn’t put extra pressure on my teeth or my jaw at all. The only really strange thing is I feel like a shark having developed lots of strange bits protruding from my teeth. I am really conscious of how it looks but everyone tells me you can hardly notice. Make your own mind up from the photo. 2nd Invisalign Aligner going in! 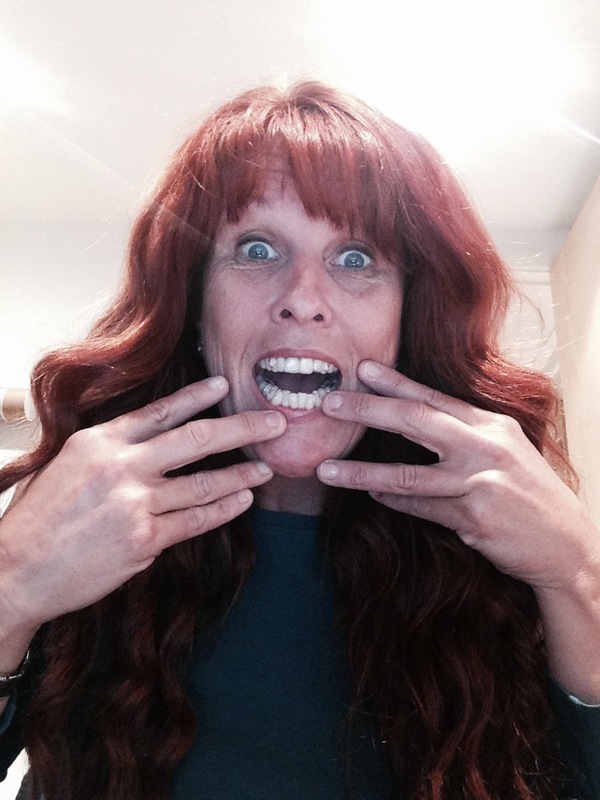 I tentatively placed my 1st aligners back in their packaging this morning and removed my 2nd – all shiny and new. Top ones were fine but my top teeth hardly have any movement to complete in the treatment time, however, the bottom is really tight. I guess this is back to the aching teeth again (I think I should describe the feeling as an ache – its only when I bite into food that it hurts.) This looks like it will be the cycle of events for the next 6 months every 2 weeks and on each aligner change – Soreness and aching for around 3 days then it all feels normal again. I can’t say I have noticed any movement in the teeth but when you look at the ClinCheck video the movements are so small I am sure it isn’t until near the end that I will notice the difference. Getting used to this now! 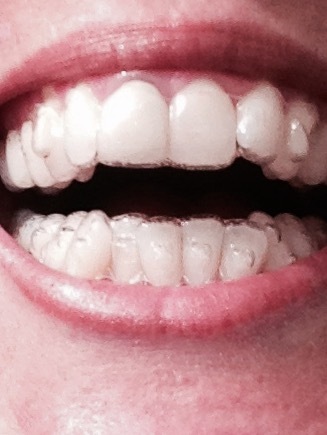 OK… I am on week two of wearing my first aligner and its amazing how fast you adjust. It almost feels very odd now when I take them out and am able to run my tongue around my own teeth. Haven’t needed to use a cleaner at all, I think if you are careful and give them a brush everytime you take them out, they shouldn’t stain however, I am looking forward to changing onto my second aligner on Thursday this week – it will be all shiny and new. I am enjoying chatting to patients who are also going through the same treatment, we all seem to have a certain amount of sympathy that those not going through this wouldn’t understand. I think the thing I have gathered is that every time you change onto a new aligner your teeth/gums are going to ache for about 3 days. Its inevitable really – your teeth have been in their current position for a long time and now we are trying to move them! Lipstick and Denture Cleaning Tablets! Woke early this morning with my bottom teeth really aching… I didn’t think there would be any pressure on your teeth with the first aligner, but there most definitely is. Also different from yesterday, I found I had a really dry mouth all day, couldn’t drink enough water… Today its fine, I guess my mouth has adjusted to this already. 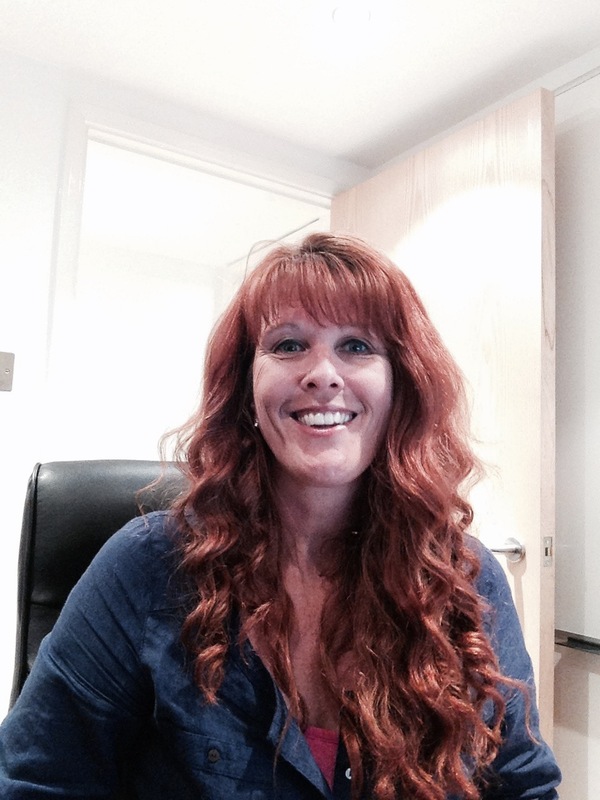 First learning curve – be VERY careful when wearing lipstick…. you will walk out the door thinking you look fab and lucky I checked in the rearview mirror… most of the lipstick had transferred to my aligner – really not a good look! Disaster averted so it was off to Boots where I found myself standing in front of the vast array of denture cleaning tablets wondering which ones to buy! with a little embarrassment I settled for Boots own and also treated myself to a makeup bag as this Invisalign removal thing really does need some planning! 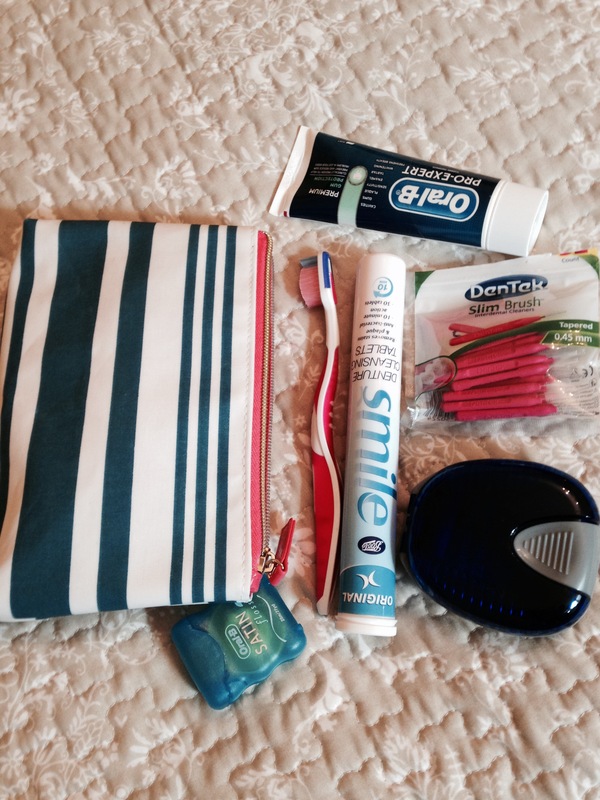 As you can see I am now going to carry around everything I can possibly think of to keep my teeth clean, need to be prepared! UPS Arrived with my Aligners! Day One – Here Goes! Great excitement this morning my Invisalign box has arrived, 14 aligners, 2 aligner cases – one red, one blue and an instruction booklet. Luckily for me Alfonso had time to talk me through the process and to watch me fit aligner number one. Odd sensation! They fit perfectly… well they should, they are made just for me! My speech is still ok – that was the thing I was worried about the most, even though I knew it would only be temporary until you adjust. So a look in the mirror and yes, they are really good and yes, they are barely noticeable. I have also realised that as a nail biter this will be the first time in my life I have found something that will stop me biting! As with any habit, my fingers have gone up to my mouth, only to find there is no use – so as well as straightening my teeth, I could end up with lovely finger nails too! OK problem number one, Charlotte on reception has her birthday today and I bought cake… determined to join everyone I had my first try at getting these things out. 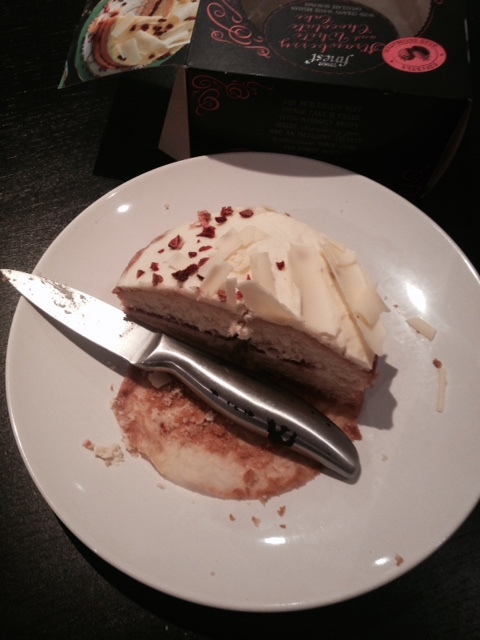 Pretty easy really, but cake eaten and its straight to the basin to clean my teeth and fit the aligners back in place. I am already drinking water instead of tea and coffee and the aligners also make you reluctant to pick at food, just too much effort to keep cleaning my teeth, so thinking about this, this could be the best diet ever!! My impressions were sent via UPS to El Paso Texas and as if by magic a week or so later we were able to log onto the Invisalign website to view my ClinCheck. Amazing programme – you get to see your teeth in 3D from every angle. Press play and you watch an animation of where your teeth will end up. I am quite a techno freak and totally love this. Using your mouse you can see the changes from every angle…. Fantastic…. From that moment onwards it was up to Alfonso to approve the movement of the teeth and the wheels were put in motion for my aligners to be manufactured. 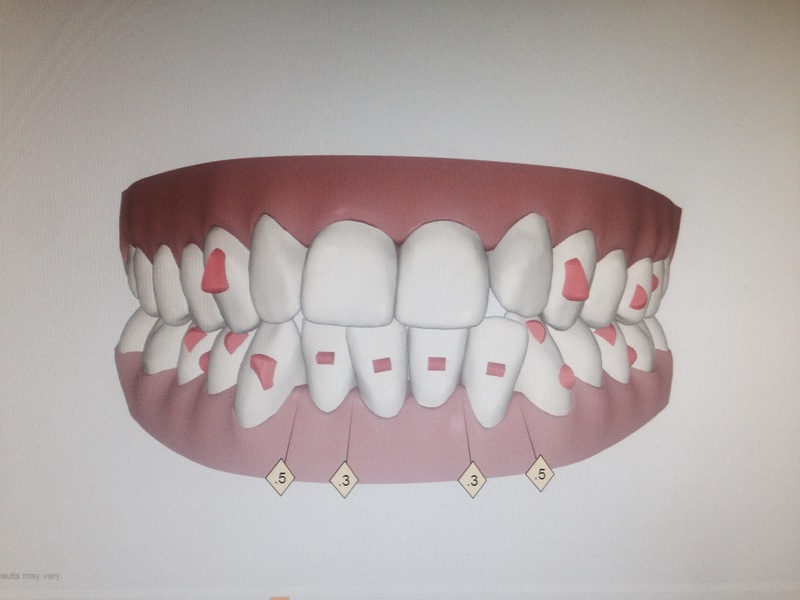 I need 14 to complete my journey and would need attachments on my teeth for the 3rd aligner. So I am left with my animation whilst I wait a couple of weeks for my invisible aligners to be manufactured and shipped from Texas back to Queen Square, quite exciting really!